This step-by-step tutorial guides learners through the process of identifying a body of data to visualize and then creating an infographic that will best illustrate the significance of the information. 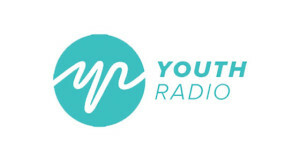 Peabody Award-winning Youth Radio is an Oakland-based, youth-driven production company that serves as NPR’s Youth Desk. Our newsroom is known for its features, commentaries, apps, interactives, and investigative series by youth about youth, which run on national and local radio outlets as well as sites that include National Geographic, Medium, The Huffington Post, and The Atlantic. Since the early nineties, Youth Radio has produced on-the-ground elections reporting highlighting first-time voters and youth points of view. The organization takes an expansive approach to covering politics, both empowering teens as full-blown agents in civic life, and producing stories about the many ways that young people are connecting, advancing public understanding, and shaping the dialogue about the social issues and policies that matter most.